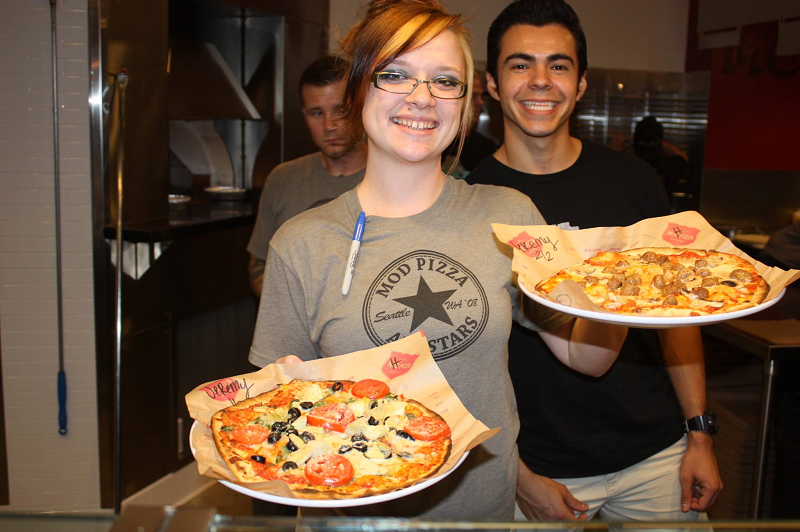 MOD Pizza is opening its first Inland Empire pizzeria in the new Mountain Grove shopping center in Redlands, just a few weeks after the center’s first eatery — The Habit Burger Grill — opened. The pizzeria is celebrating its grand opening tomorrow (December 8). 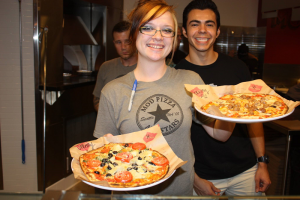 The first 52 customers in line when the restaurant opens at 11 a.m. will receive a free pizza or salad. The event will also feature a retro photo booth and a drawing for free pizza for a year. Plus, a full 100% of proceeds from pizza sales that day will benefit the Boys & Girls Club of of Greater Redlands-Riverside! The chain also has a Fontana location (16391 Sierra Lakes Parkway) in the works. The Redlands location is at 27511 San Bernardino Ave., in the southwest corner of the shopping center, near the under-construction Harkins Theatres. This entry was posted in Italian, Redlands and tagged free stuff, fundraisers, openings by John Plessel. Bookmark the permalink.